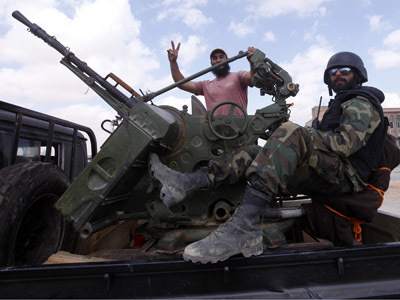 Arms out of post-Gaddafi Libya are empowering militant groups, including terrorists and criminal gangs across the Middle East and Africa, a UN report said. Twelve countries are involved in the illicit trade of weapons, including portable SAM missiles. Eighteen months after the civilian conflict and NATO bombing campaign ousted longtime Libyan dictator Muammar Gaddafi, most of the weapons in the country remain in control of civilians and militias, according to a UN Security Council report. The trafficking of those arms is both a lucrative business and a major security threat to the entire region, the report revealed. "In the past 12 months, the proliferation of weapons from Libya has continued at a worrying rate and has spread into new territory: West Africa, the Levant and, potentially, even the Horn of Africa," the panel said. "Illicit flows from the country are fueling existing conflicts in Africa and the Levant and enriching the arsenals of a range of non-state actors, including terrorist groups." The recipients are empowered not only by the sheer number of new arms in their possession, but also by new kinds of weapons. "Cases, both proven and under investigation, of illicit transfers from Libya in violation of the embargo cover more than 12 countries and include heavy and light weapons, including man-portable air defense systems, small arms and related ammunition and explosives and mines," experts wrote in the 94-page report. Proliferation of portable surface-to-air missiles (SAMs) has long been deemed one of the most alarming consequences of the turmoil in Libya, as such weapons may be used by terrorists to shoot down civilian aircraft. Experts claim they have confidential information that 30 SAMs have been trafficked from Libya to Chad’s capital Ndjamena. Egypt is facing the worst influx of Libyan arms, the report says, with a large portion being directed to armed groups in the Sinai; this poses a serious internal security threat for Cairo amid its unending political turbulence. Libyan arms in Egypt are then smuggled into the Hamas-controlled Gaza Strip; militants there purchased modern assault rifles and anti-tank weapons from Libya, the document warns. 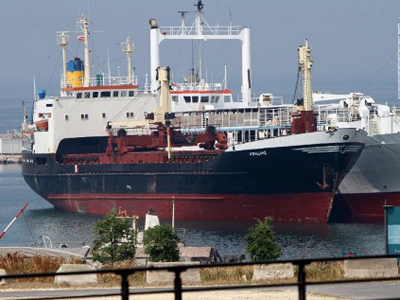 Other trafficking destinations for these weapons include Syria and Mali, both of which have witnessed violent conflict and seen radical Islamist groups gain significant influence. Some Libyan ammunition has been found in Somalia, where Islamist group Al Shabab is rebelling against the weakened central government. 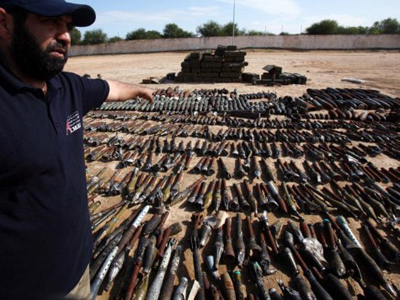 UN experts said that the arms trafficking had been organized from various locations in Libya, including Misrata and Benghazi, through Turkey or northern Lebanon: "The significant size of some shipments and the logistics involved suggest that representatives of the Libyan local authorities might have at least been aware of the transfers, if not actually directly involved." The experts also said they found that Qatar and the United Arab Emirates had violated the arms embargo on Libya during the 2011 conflict, supplying weapons and ammunition to anti-Gaddafi forces. Qatar denied the accusation, while the UAE had not responded, the report says. The transfers also involved Armenia, Albania and Ukraine, according to the panel. A separate embargo violation mentioned in the document was the reported transfer of a drone to the rebels by a Canadian company. The case is under investigation, Canadian authorities said. Last month, the UN Security Council eased sanctions against Libya to allow the supply of non-lethal military equipment, including ballistic armor and armored vehicles to its government. Libyan Prime Minister Ali Zidan’s cabinet is struggling to bring the country under control, disarm local militias and provide some degree of security to the population. But large parts of the country remain unruly and refuse to take orders from Tripoli. Tensions are high between coastal regions over how profits from the country’s oil trade should be distributed, while many areas inside the country are largely left to govern themselves independently. 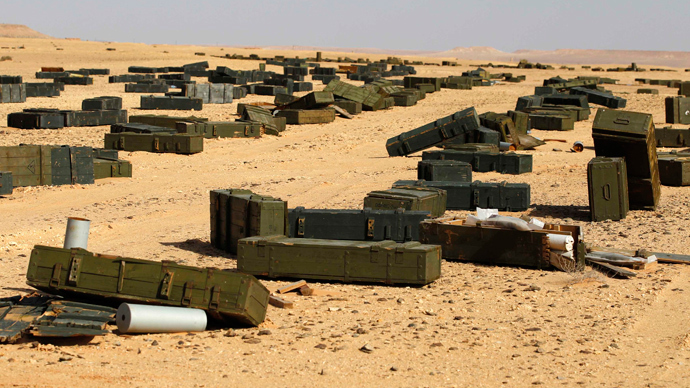 Hide-and-ship: Did the US know Libyan weapons were en route to Syrian rebels?